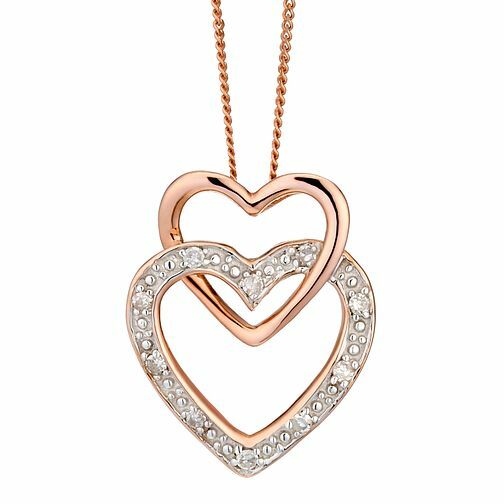 Double the love with this pretty 9ct rose gold double heart pendant. Set on a delicate rose gold chain and finished with glittering diamonds for charming sparkle, this pendant is a feminine addition to any jewellery collection. 9ct Rose Gold Diamond Set Double Heart Pendant is rated 4.1 out of 5 by 10. Rated 5 out of 5 by Anonymous from Perfect Gift Looks just as good as it does online. The perfect gift for a special occasion.